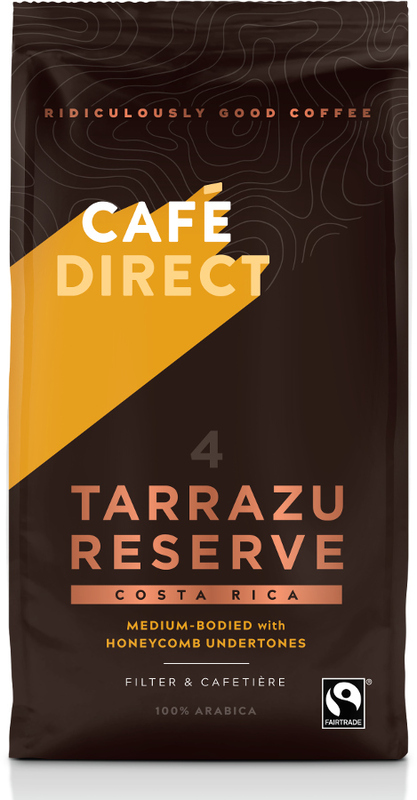 This delicious Costa Rican, single origin coffee from Cafedirect is made from 100% Arabica that is sourced from the mountainous, volcanic soils of Tarrazu by Fairtrade producers. This fresh ground coffee is grown in the long hot day and cool night climate of Central America, which brings out its wonderfully fruity, aromatic and balanced features. This bright coffee has notes of sweet apricot and peach, making it an ideal way to start the day. About the Producer: This coffee is produced by Cafedirect, which is the largest fair trade organisation in the UK, and works with more than 30 different producer groups in South America, Central America, Africa and Asia. The Cafedirect Costa Rica Fresh Ground Coffee - 227g product ethics are indicated below. To learn more about these product ethics and to see related products, follow the links below. I make this coffee in my mocha pot and it's quite good, not too bitter, but not my favourite. My husband loves the taste and strength of this coffee, which encourages him to avoid the takeaway alternatives. It's even better to know that this is produced by a company with long standing fair trade practices. Q: Can this be used in an expresso machine? 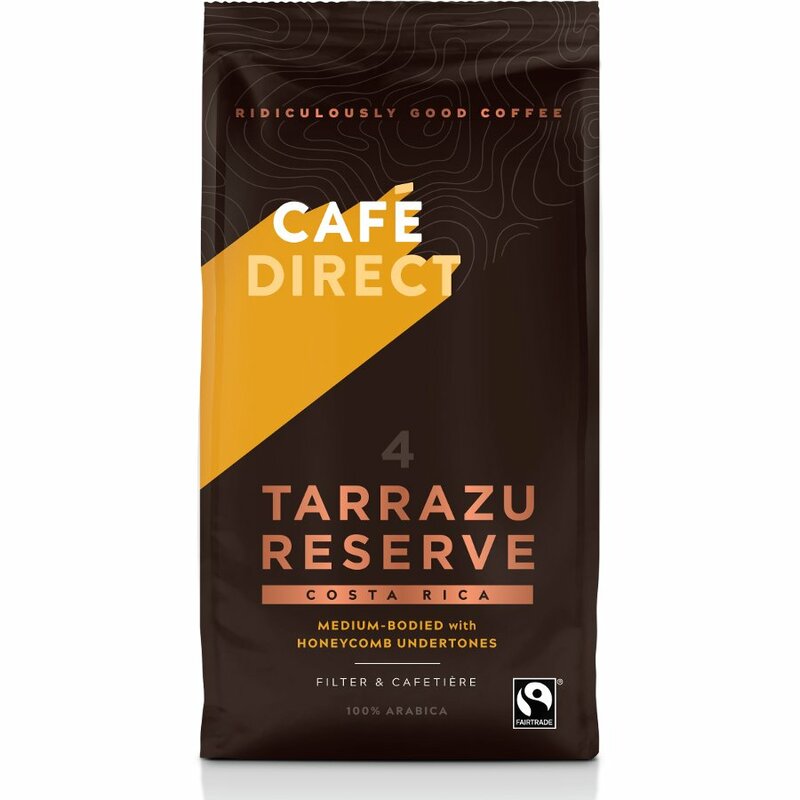 Cafédirect is the UK's largest 100% Fairtrade hot drinks company, selling a range of freeze-dried and Roast & Ground coffees, as well as tea and hot chocolate as well as the ever popular Machu Picchu Coffee . All their products carry the Fairtrade mark, guaranteeing a fair and stable price to the 38 grower organisation across the 12 developing countries that the company works with. Above and beyond that, Cafédirect reinvests at least a third of its profits back into the businesses and communities of these grower partners (around 50% to date), directly improving the lives of more than 1.8 million people around the world. At Cafédirect, the mission is to change lives and build communities through inspirational, sustainable business, by making great tasting hot drinks direct from the growers. Ethical Superstore now features the widest selection of Cafédirect products in the UK.